Advancing the organization's vision and the future of computing in the world. Melissa joined the Computer Society in June 2018. 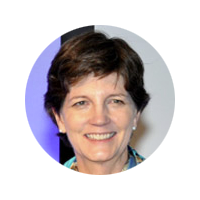 She leads the executive team and manages the board of governors and volunteer groups, continuing the progress of the Society’s membership, international conferences, publications, standards, and training programs. For the past 17 years, Melissa worked for the Optical Society (OSA), where she held several different positions during her tenure. She most recently served as OSA’s Chief Meetings and Industry Officer, where she oversaw nearly 70 annual events, two large tradeshows, and a portfolio of industry programs and activities supporting a corporate membership of nearly 300 companies and 1,000 corporate customers. Melissa received a BA in journalism with a specialization in advertising from The Ohio State University. Anne Marie Kelly joined the IEEE Computer Society in 1988, and has previously served as its Director of Conferences, Director of Volunteer Services, and Acting Executive Director. During her career in nonprofit association management, she has held positions at the Director Marketing Association and National Conference of State History Preservation Officers. Kelly received an AB in American Studies with distinction from Georgetown University and holds an MBA from George Washington University. She is a Certified Association Executive (CAE) and Certified Meeting Planner (CMP). Kelly received the Computer Society’s Harry Hayman Award for Distinguished Staff Achievement in 1999 and 2001. Eric Berkowitz joined the IEEE Computer Society as the membership development director in November 2013. He oversees the membership department, which focuses on member recruitment, retention, and chapter development. 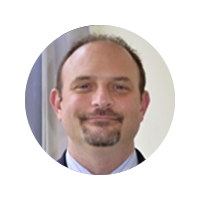 Berkowitz has devoted his entire professional career to nonprofit development. 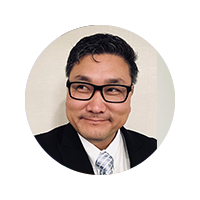 With almost 20 years of membership marketing experience, he has helped several nonprofits develop strategies and tactics to grow membership. He holds a bachelor’s degree in political science from West Virginia University. Sunny Hwang joined the IEEE Computer Society as Director of Finance in June 2015. 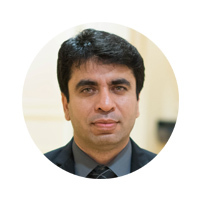 His more than 20 years of experience is in high-tech manufacturing companies. He previously held positions in corporate financial planning and analysis with several multi-billion dollar corporations, including Oakley, Gateway Computers, Packard Bell/NEC, and Seagate Technology. He holds a degree in finance from California State University, Fullerton, and an MBA from UC Irvine Merage Business School. A native of Southern California, he enjoys camping and golfing in his free time. 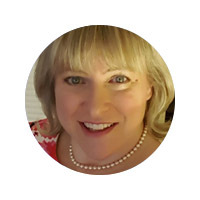 Michelle Tubb joined the Computer Society in December 2018. She leads sales and marketing team, which is responsible for promoting the Society’s conferences, publications, standards, education, and governance activities, as well as launching new conference exhibit and sponsorship programs. 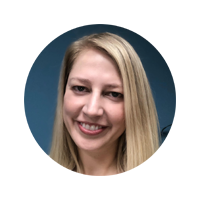 For 12 years, Michelle worked with the Society for the Advancement of Material and Process Engineering (SAMPE), where she successfully launched a new international trade show, as well as oversaw all educational, membership, and marketing activities. Michelle is a Certified Association Executive (CAE) and earned a BA in communications with an emphasis in public affairs from the University of LaVerne. Sumit Kacker joined the Computer Society in June 2016. He leads the information technology and services (IT&S) team, which is responsible for architecture, application development, production-support, help-desk, infrastructure, and dev-ops. The Computer Society IT&S supports various strategic and operational activities for conferences, publications, standards, education, and governance activities. For 14 years, Sumit worked with Farmers Insurance Group where he gained progressive experience building, integrating, and simplifying complex business systems. He earned his degree in engineering from IIT Roorkee, India, and his MBA from University of Phoenix.